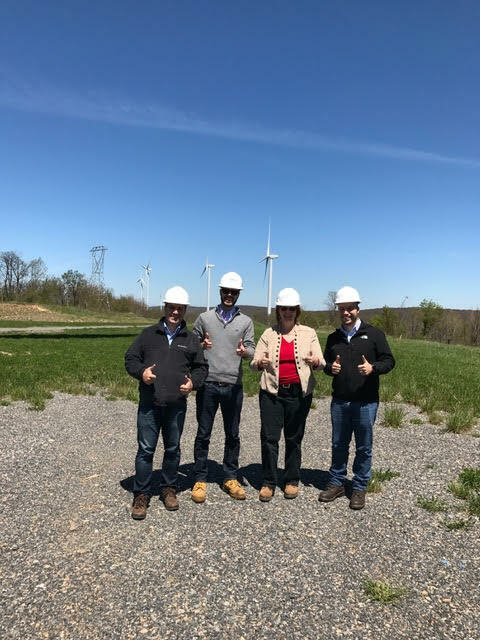 Our Maryland Energy Administration team visited Exelon Generation’s Fourmile Wind Energy Project in Garrett County, MD. 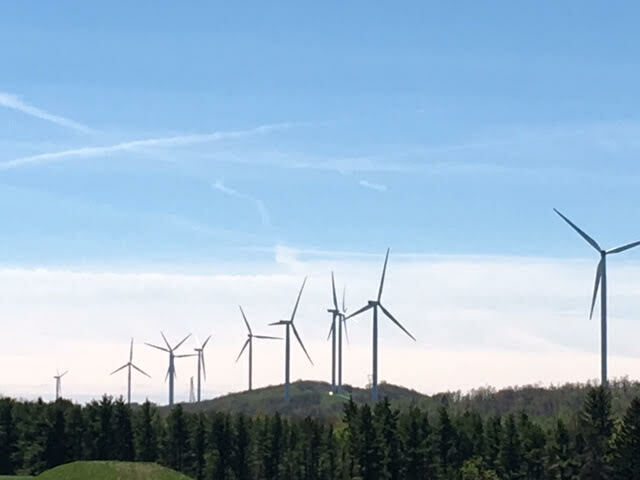 The farm came online in January of 2015 and has 16 turbines. Exelon is America’s 12th largest wind producer, with 47 projects in 10 states and nearly 1,500 megawatts of power. Wind power captures the natural, renewable energy source in our atmosphere and converts it to electricity. 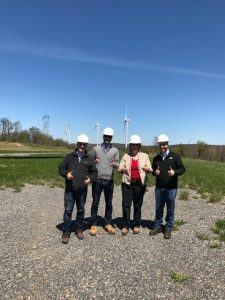 The Fourmile Wind Energy Project, combined with the other western Maryland wind farm, Backbone, generates over 300,000,000 kilowatts of energy annually, enough to supply power to more than 30,000 homes. 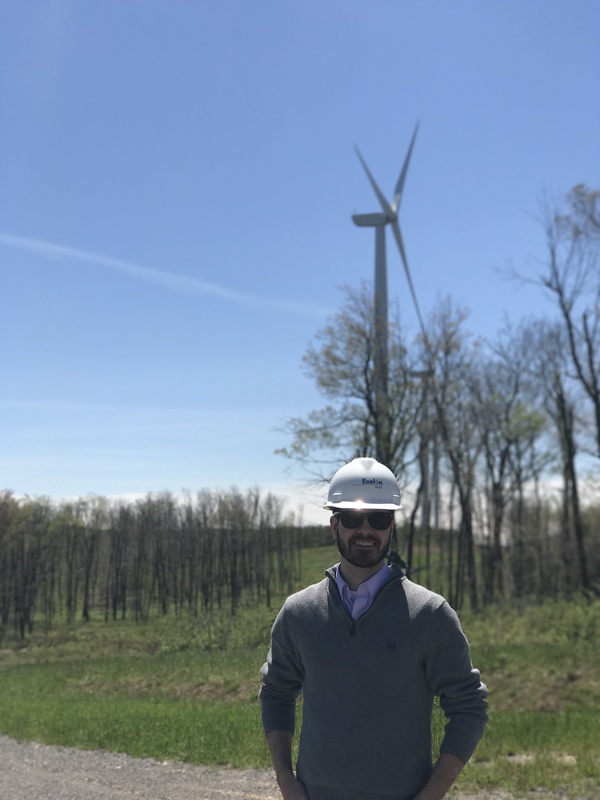 MEA Wind & Water Program Manager Sam Beirne was proud to visit one of the State’s largest renewable energy generation sites. Did you know? 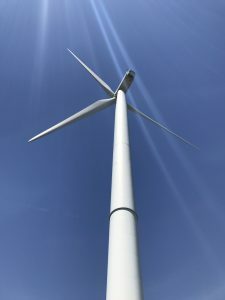 A wind turbine has as many as 8,000 different components. 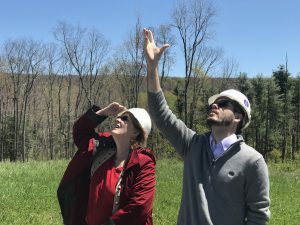 MEA Director Mary Beth Tung and Program Manager, Sam Beirne, gaze up at one of the turbines. 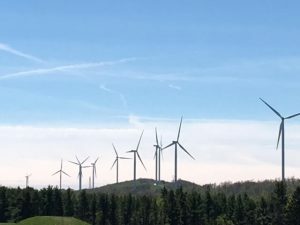 Wind energy historical fact: The first modern wind turbine was built in Vermont in 1941. 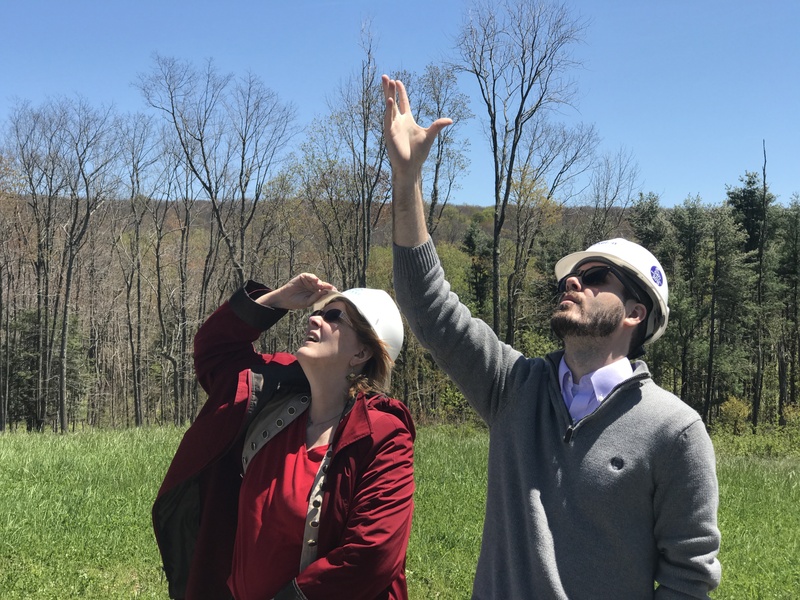 MEA Program Manager Sam Beirne and MEA Director of Government Affairs, John Fiastro look out over the wind turbine field. Fact: The closest that a wind turbine is typically placed to a home is 300 meters (about 1,000 feet). 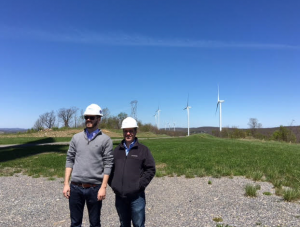 At that distance, a turbine will have a sound pressure level of 43 decibels. To put that in context, the average air conditioner can reach 50 decibels of noise, and most refrigerators run at around 40 decibels.